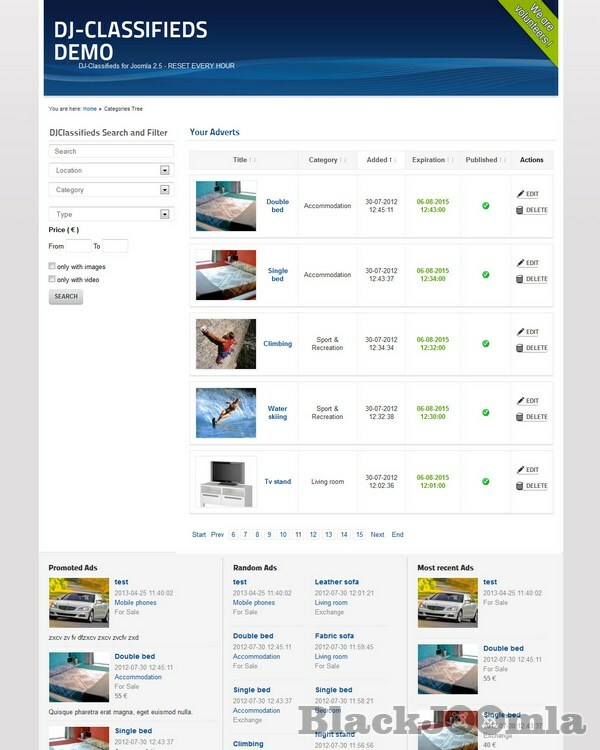 DJ-Classifieds It's a powerful classifieds tool for building the classifieds section on your website. Itâ€™ll do all the hard work for you. 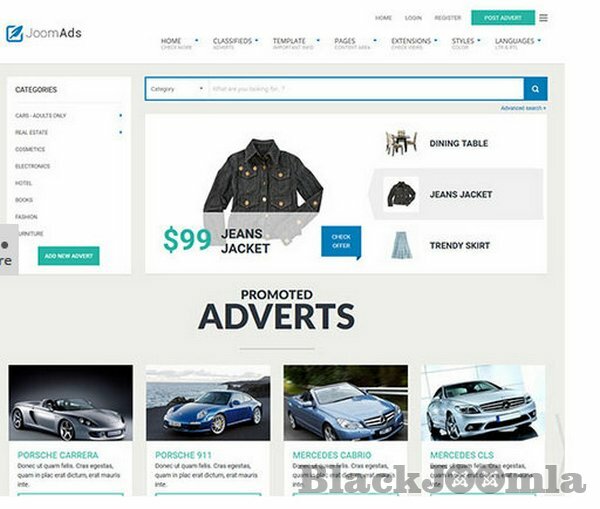 If you are looking for an easy to use extension for creating classified ads with your Joomla 3, then DJ Classifieds will be the best solution for you. This classified ads extension is suitable to create any type of classifieds. It does not matter if you want to create general ads section, job listing, real-estate ads, dating portal or city portal classifieds. DJ Classifieds classified ads extension comes with many useful features. Your classifieds can bring you extra revenue by monetizing the many options available to users. This extension offers advanced search module flexibility and provides a highly configurable locations setup. You are able to set the unlimited amount of custom fields. Get the whole community engaged on your site, with auction selling options that make it a smooth and efficient service, for both buyers and sellers. 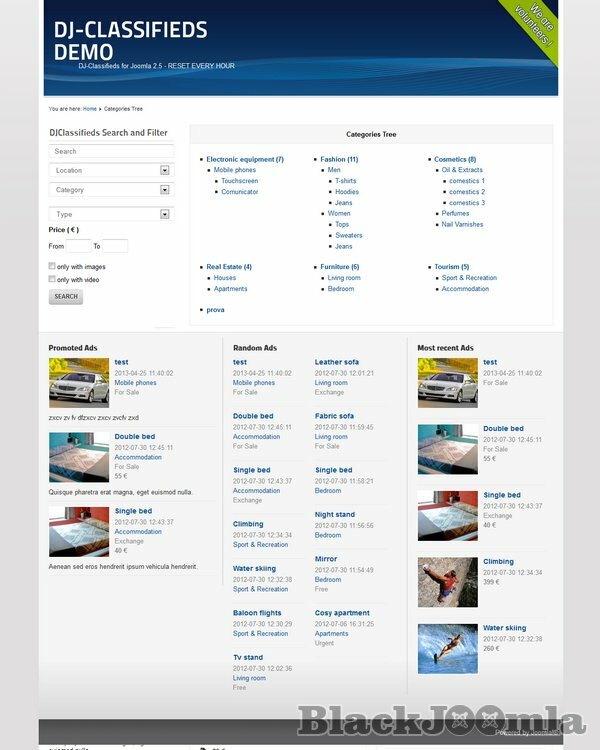 Easily customize the layout of categories into a blog and table view, and even in the advert details view as well. 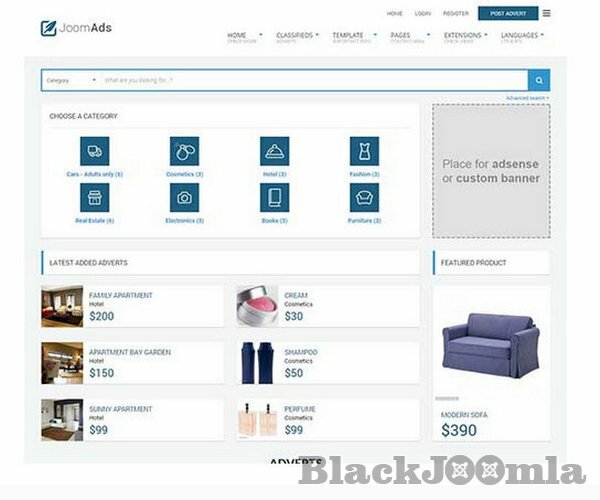 DJ Classifieds classified ads component has a built-in slider which gives the possibility to display classifieds in an attractive way! Each user or advertiser can access a personal panel to manage ads. It also offers many free modules - you can build your classifieds website easily and quickly. 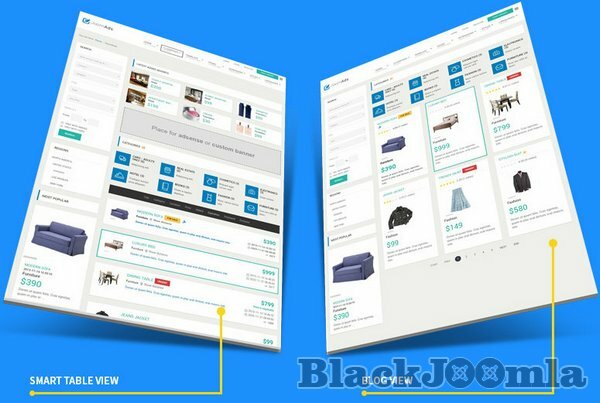 DJ Classifieds works with many 3rd party Joomla extensions and it offers premium apps - you can add extra functionality to DJ Classifieds allowing to use extra features. multiupload Search in defined radius from Post Code. 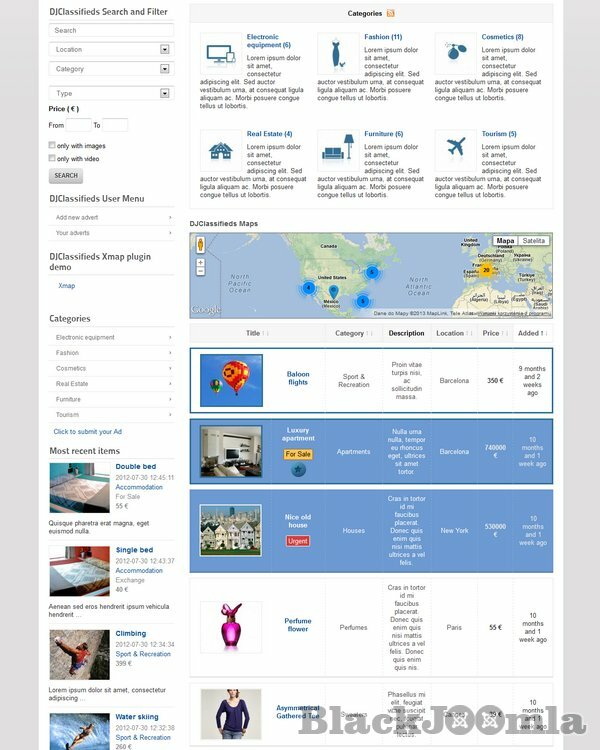 Now user can search classifieds only in certain distance from his place. Possibility to display extra fields in category (table or blog) view. You can choose if you want to make separate column for a filed in table view or if you want to display all extra fields in one column 'additional info'. Possibility to disable adding adverts to certain category. You can use this feature to force your users to posting ads in subcategories not in main categories. For example in 'vans' instead of 'cars'. 'Move to top of the list' feature - now your users can move their ads to top of the list and you can charge for that. Payment plugins - Payment plugins allow you to charge for classifieds with different payment methods. 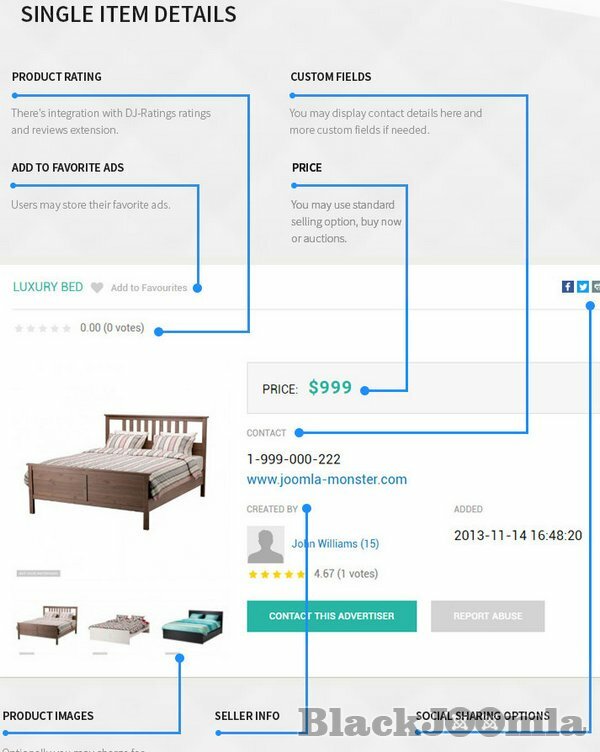 Types - Types are like additional categorization for adverts. You can use it for things like â€œfreeâ€, â€œexchangeâ€ or whatever comes to your mind. Durations - If you want to charge different price for the amount of time the advert is published you can add unlimited durations. Monetize - Place any banner, or adsense ad in different module positions inside the component! There are planty of module positions inside the component that you can evaluate for your promotional or other purposes. 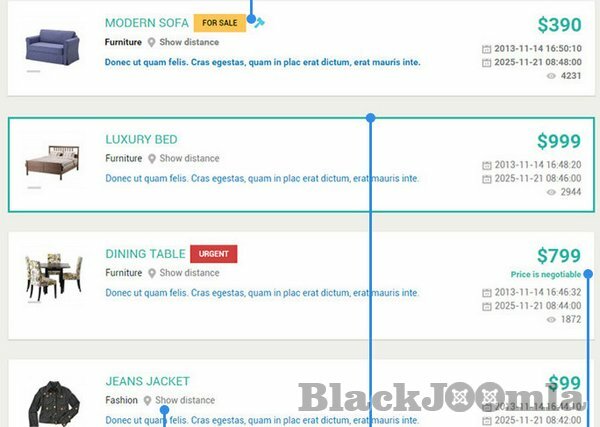 Extra fields - In DJ Classifieds you can set unlimited set of custom fields to fit them into business areas your site will advertise. Advanced search module - The search/filter gives you the option to allow to search/filter the results basing on many different conditions.